I’m sorry I haven’t been blogging lately . I have been preoccupied with my daughter’s up coming wedding. It feels like she was proposed to just yesterday but it is almost a year later. How fast time flies. We had her bridal shower here at “ The Farm”. It was wonderful. Her matron of honor did a fabulous job of decorating and setting up fun games for us to play. My daughter doesn’t like cake that much so she asked if she could have her mom’s pies at the wedding. 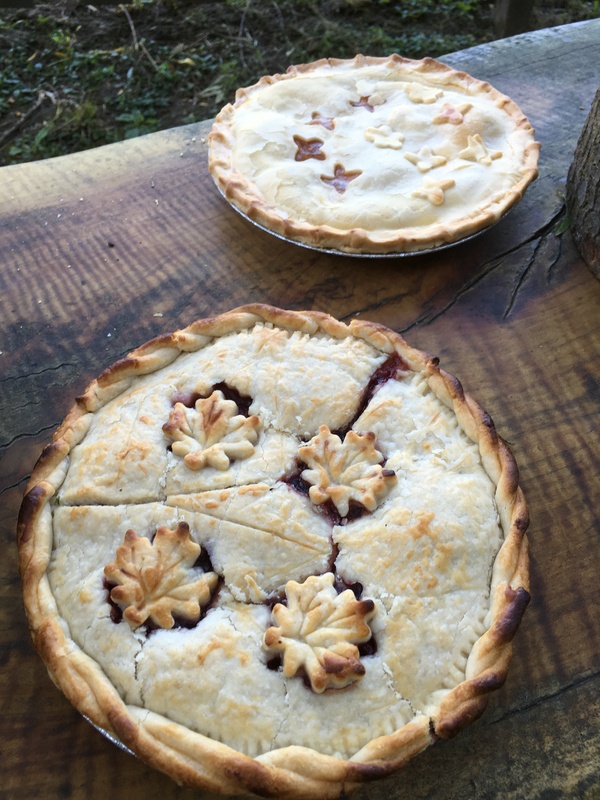 She sent me some photos of beautiful pies. So I’m sure you know what I have been busy working on. I have canned many pie fillings for the big day; Apple, Peach, Apricot, Nectarine Cherry, Blue Berry Apricot, Plum Apricot, Peach Nectarine and Caramel Ginger Pear. That was the easy part, now to make the perfect pie crust that can be manipulated without being rubbery or tough. We have had a few experimental pies around here. I spent the day making my new pie crust and individually wrapping it to be frozen. The day before the wedding, all that needs to be done is rolling out dough, pour pie filling in and having some fun decorating them. 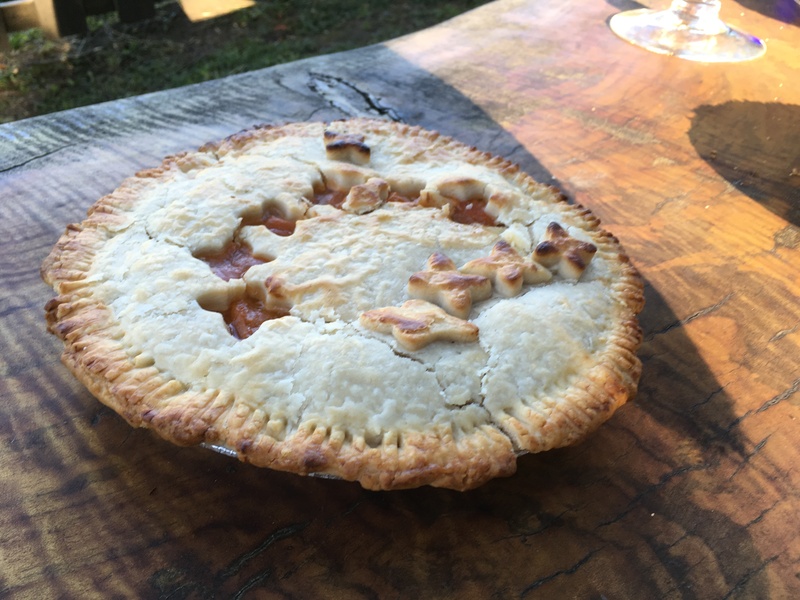 I wanted to share the recipe with you so you to can have gorgeous pies. or call All In A Jar to help you. 2. Cut butter and coconut oil into cubes, add to the food processor. 3. Pulsate the flour and butter / coconut oil until it becomes crumbs. 4. Slowly add ice cold liquid, a little at a time. 5. As soon as you see it come together as a dough, stop. 6. Do not handle a lot. 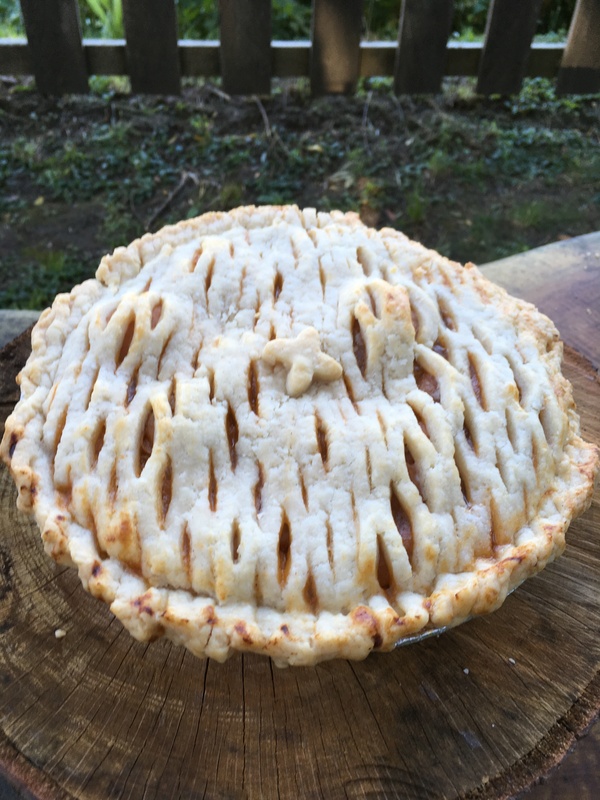 Make two balls and place on a pie pan then refrigerate for an hour. 7. Get two sheets of parchment paper. Place one of the dough balls on the paper and place the other on top. Use a rolling pin to roll out the dough. 8. 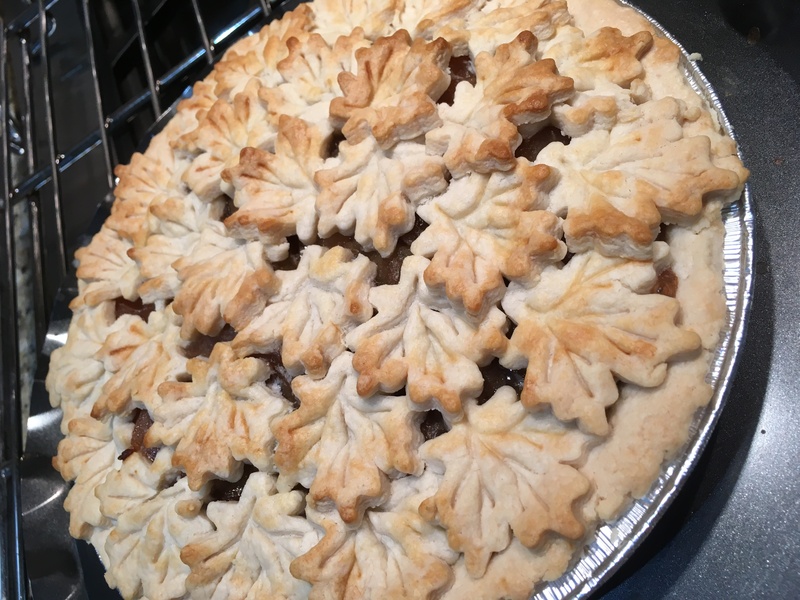 Peel off the top paper from the dough and pick the paper up that has the dough on it and work it in to the pie pan. 9. Repeat the same process with the other dough ball. 10. Pour pie filling into crust and use the tablespoon of butter to make small dollops of butter on top of the filling. 12. Brush egg wash on top of pie and sprinkle raw sugar on top. 13. Place pie on cookie sheet to bake at 375.